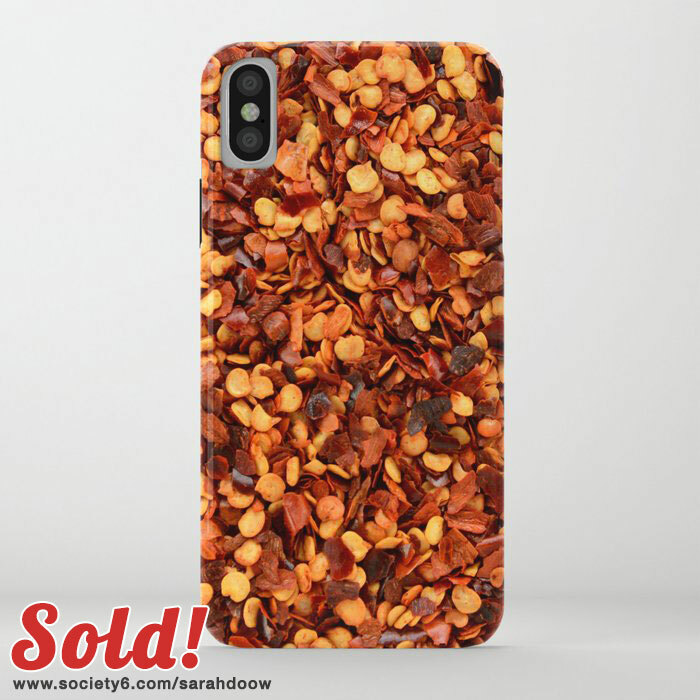 This hot and spicy crushed chilli peppers iPhone case has just sold from my Sarah Doow Society6 store. The photo makes such a wonderfully vibrant design for a phone case. Check out the art and further available products in the Hot and Spicy Crushed Chilli Peppers collection.